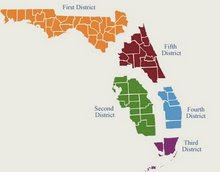 Last week I posted here an entry titled "Third District Hears Oral Argument On The Constitutionality of Florida Ban On Gay Adoption." The Miami Herald had an article this weekend, here, titled "Case is a serious challenge to Florida's gay-adoption ban." Law.com also has an article, here, titled "In Fla. Adoption Case, State Argues Gays Prone to Mental Illness, Breakups." Again, thanks to How Appealing.